From brand-new apartment complexes to rehabbed classics, housing options in downtown Eau Claire continue to proliferate. While you will already find plenty of digs to scratch that urban-dwelling itch, over the next few years even MORE living options in our city’s central neighborhoods will likely come online. Here’s a sneak peak at a few of the proposals that have been unveiled recently. 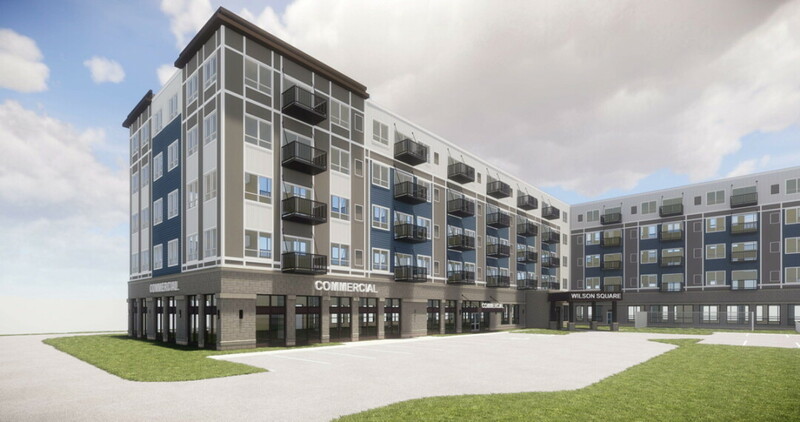 W Capital Group, a developer from Madison, hopes to build a three-story, 71-unit apartment complex on Oxford Avenue, between Kwik Trip and the Eau Claire Children’s Theatre. A second phase of the development would include 45 to 50 apartments directly to the south of the first phase. W Capital Group told the city that 20 percent of apartments in the first phase will be set aside for residents earning less than 70 percent of Eau Claire County’s median income. In the second phase, 85 to 100 percent of the units will be considered “work-force housing” for people earning 30 to 60 percent of the county median income. 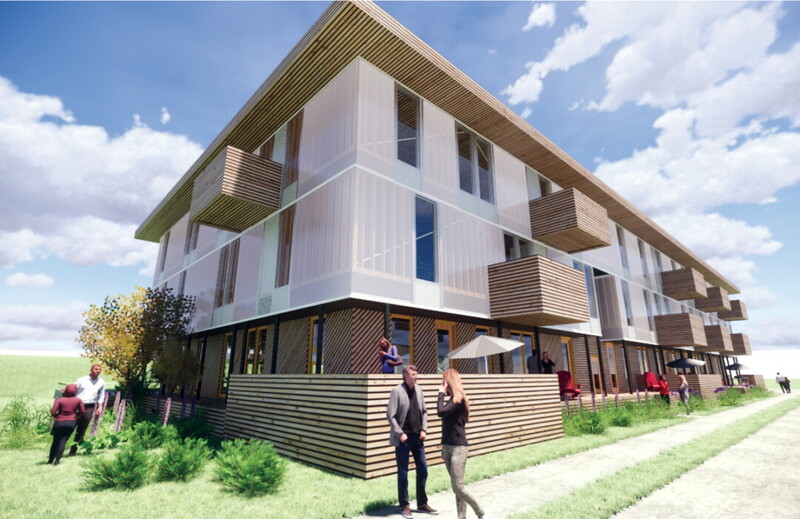 The first phase would feature a mix of studios and one- and two-bedroom units, with amenities including underground parking, a community room and kitchen, high-speed Internet, a coffee bar, a landscaped courtyard and gathering area, storage units, bike storage, and more. 2. U.S. Bank Building • 131 S. Barstow St.
Pablo Management recently got approval from the city Plan Commission to change the site plan for the current U.S. Bank building to allow commercial and residential use. 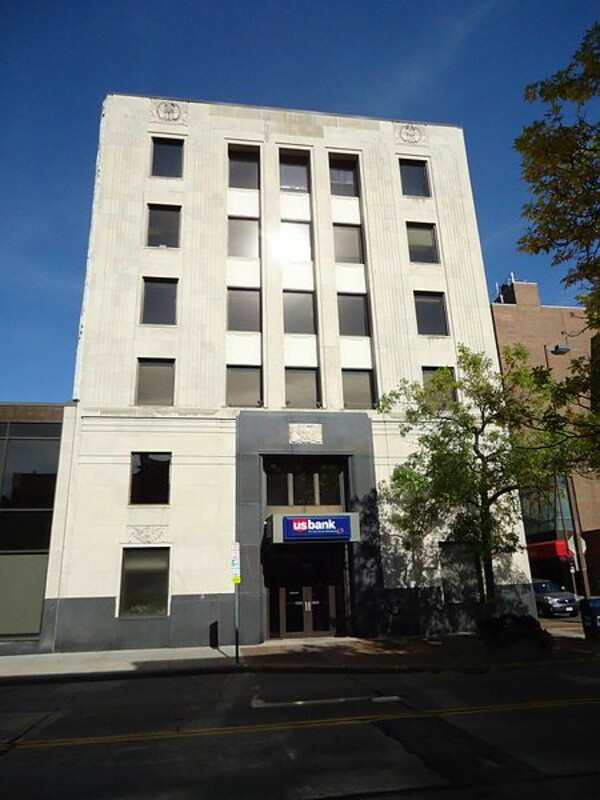 Under Pablo Management’s plan, the bank will remain but would downsize to occupy 36,000 square feet of the building. The rest of the structure will be converted to 17 residential units encompassing 21,000 square feet. They would include six one-bedroom units, 10 two-bedroom units, and one penthouse. The plan also includes the potential for a rooftop green space and rooftop dining on the two-story portion of the building. 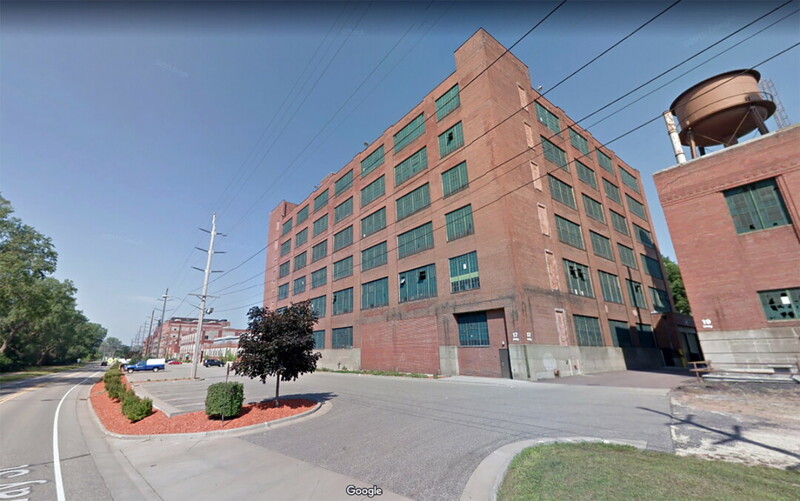 Late last year, the owners of Banbury Place – the massive, repurposed tire factory on the edge of downtown – got approval from the city to transform part of the complex for residential use. Building 17 – a 182,000-square-foot, six-story brick structure on the far east end of Banbury Place – is currently used for warehouse storage. According to the request, Banbury Place Inc. is considering converting Building 17 into a mixed-use structure with apartments, offices, and warehouse space. There’s no timeline on the project yet. Banbury Place already includes the International Harvester Apartments. JCap Real Estate intends to build a five-story mixed-use building that would include 120 living units designed for senior citizens as well as a ground-floor grocery story and deli. The complex would encompass nearly an entire city block – bordered by South Farwell, Emery, South Barstow, and Seaver streets – across from Wilson Park (hence the name). Two houses and three commercial buildings will be demolished as part of the project. The City Council recently approved JCap’s request to rezone the property in preparation for the project. 5. Former Syverson Home • 816 Porter Ave.